Kia ora, and greetings from Aotearoa*, the Land of the Long White Cloud. As I type this on the final day of the long weekend in Wellington the high white cloud which has covered the city for the last three days shows no sign of wandering off and finding other cities to bother. But I didn’t get this beat spot just to sit around and complain about the weather, although I could certainly get plenty of mileage in so doing. What this is about is what’s under the cloud, being blown about in the frequent wind, drenched in the even more frequent rain, shook in the occasional earthquake and, very occasionally, blinking at the might of the sun. The birds. And New Zealand certainly has birds. Not as many species, I should point out, as many other places on Earth. It took me just one month in Britain earlier this year to beat my total Life Count for New Zealand. After that it took me less than a single week in the highlands of Malaysia to do so. A moderately determined birder in Costa Rica might be able to do so in a single day. And many of the birds we do have down here are vanishingly rare. There are barely more than a hundred and twenty Kakapo in New Zealand. Only around one hundred and fifty Magenta Petrels. Less than three hundred Black Robins and Takahe. 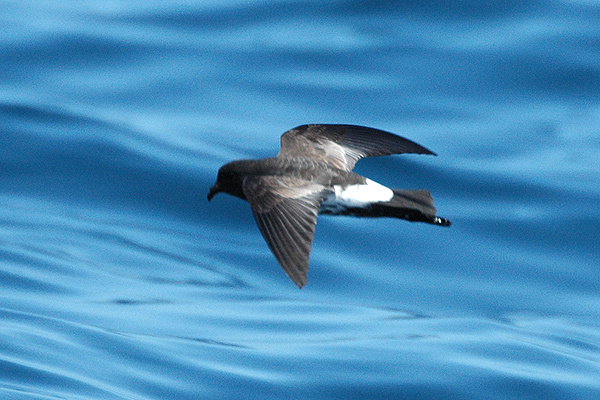 No one actually knows how many New Zealand Storm-petrels there are, but there aren’t that many. Indeed there is a great deal we don’t know about the New Zealand Storm-petrel. Like, for example, where it breeds. Presumably New Zealand, but it isn’t like anyone has been able to prove that. Certainly we have no idea where in New Zealand, although again it is assumed to be in the area in which it is occasionally seen. Until a few years ago it wasn’t even known that they were still a going concern. For a hundred years they had been unseen and assumed extinct. Nor are they the only species that have been unnoticed for so long; Takahe and Magenta Petrels were both considered lost for many years. More astonishing is the story of the Campbell Snipe. That a species of snipe might once have occurred on the rat infested Campbell Island was not impossible (they do after all occur or have occurred on most New Zealand islands), but the actual discovery in 1997 of living snipe on a small islet off Campbell Island no bigger than a large building was a complete surprise. These snipe, a subspecies of the Subantarctic Snipe, had survived on this rock for over 150 years, avoiding the attention of both scientists and rats. All the species I just mentioned are, I should point out, not found anywhere else. 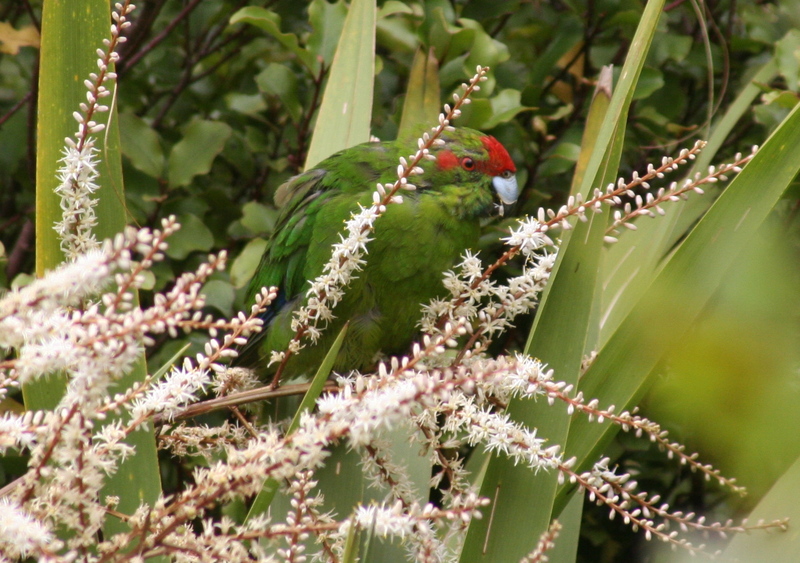 New Zealand may not have masses of species, but those it does have are often endemic. And not only at the level of species; many genera are endemic. There are at least seven endemic bird families. Some genera are currently sitting in taxonomic limbo, with no particular idea where they belong, and may turn out to represent additional families. The uniqueness goes upwards still. Take the New Zealand wrens. Tiny, nondescript birds, they sit apart from all the other songbirds of the world. The three sub-orders of the songbirds, or Passerines as they are scientifically known, are the sub-oscines, which are the American groups like the antbirds, tyrant-flycatchers and ovenbirds, along with the Old-world broadbills and pittas; the oscines, which includes almost everything else; and the New Zealand wrens, six tiny and sometimes flightless species. Tiny, sometimes flightless, and mostly extinct. Of those six species, four are lost. Two are known only from fossils found in caves, two survived for long enough for Europeans to collect some and describe what they looked like. Of the families that are unique to New Zealand two, the adzebills and the moa, went extinct completely. The piopio, one of those uncertain genera that may be bowerbirds, may be birds-of-paradise or may be God only knows what, are extinct. All told, between hunting, habitat loss and introduced species, New Zealand lost fifty-nine endemic species. That we know of. There are still some fossils of other species coming to light, most recently a penguin related to the Yellow-eyed Penguin. A parrot bone was recently found on snowy and windswept Campbell Island, one that would probably bring the total up to sixty. The picture is not, I must emphasise, unremittingly grim. I first became interested in working here when I attended a seabird conference in Portland. There was an entire symposium dedicated to the fledgling science of island restoration, a science which involved a certain amount of replanting and habitat management and a great deal more of killing introduced species. From the Aleutians in Alaska to Ascension Island in the Atlantic and Anacapa Island in the A…Pacific (almost kept the alliteration going) foxes, rats, cats, pigs and the like were being removed and seabird colonies were subsequently flourishing. In most of the talks the expertise or even actual assistance from New Zealanders was recognised. 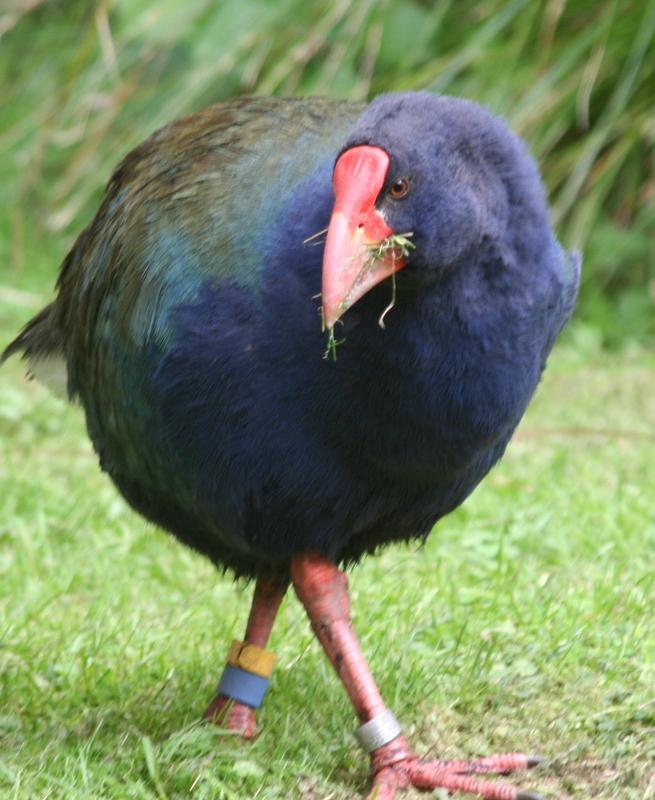 Kiwis were amongst the first to make the connection between extinction and introduced species, and the first to apply that understanding the cause of saving species. Heroic, ongoing efforts have saved many species here and elsewhere in the world. The rare species I listed earlier with grim sounding low numbers of individuals are actually the lucky ones. Two hundred and fifty Black Robins isn’t many, but it is a great deal more than the four the species was down to at one point. Four single birds, and one single female, Old Blue, who deserves to be remembered as one of the most famous birds ever. Mother to a species, every surviving robin is one of her descendents. So that is what I’ll be talking about each week on my spot here. Not just the birds themselves and the places they live, though I will obviously be doing that, but the context, science and the stories that go with them. The famous biologist and writer Jared Diamond once described New Zealand as the closest we’ll get to life on another planet. He was referring to the paradoxical idea that New Zealand’s astonishing uniqueness is actually instructive because it shows us, in miniature, how the entire world works. Or I could just moan about the weather. We’ll see how it goes. *Quick notes on names – most things in New Zealand, including the country itself, have both English and Maori names. Aotearoa is the most widespread name for New Zealand in Maori. In some cases the Maori names have been adopted into English as the name; Kea, Kaka, kiwi, kokako and Kakapo are all avian examples (and currently sponsoring Sesame Street’s K week!). For some species the two names are used interchangeably, most notably the New Zealand Pigeon/Kereru and parakeet/kakariki. For others still a Maori name exists but is more rarely used. I’ll use whichever is more common, but will make sure to include the English name if the species is widely known by an English name (for example Pukeko are known as Purple Swamphens across the rest of the world). I’ll also be adopting the convention of not pluralising Maori loanwords when the word means the same (so several kiwi for the birds but many Kiwis for the people). I’ll probably get more comments about this than anything else at first, because nothing gets tempers raging like grammar. Image of a New Zealand Storm-petrel belongs to Tom Tarrant and was released on a Creative Commons Attribution 3.0 license. New Zealand bird life is about class, not mass (and I don’t mean this in any taxonomic way). Your posts will surely have me fall off the edge of my seat! Right, Jochen? I mean, albatrosses! To say nothing of all the other great birds and places. 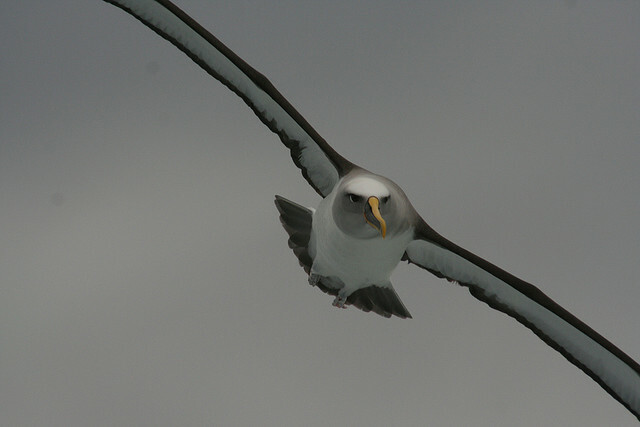 Well, in some instances and certain species, the mass can be an integral part of the class, yet in the case of albatrosses, it is more the fact that they manage to mask their mass by floating as lightly as gas that gives them an air of class. Duncan, if you ever publish a report on how you went to Codfish Island and worked with Kakapo, I’ll faint to never fully recover! Not done that yet, but I am going to try and do it. Duncan, I can never get enough of your New Zealand posts. Tremendous! Excellent post Duncan. New Zealand has been on my list of places to see for quite some time. It seems a magical place to me and even more so after reading your historical insights. No comments on the grammar. I’ll have enough trouble contending with the dual bird names.